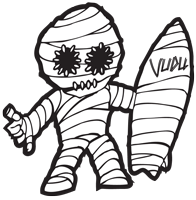 Even after having such a good run of selling surfboards, Vudu Surf is still frantically shaping and crafting the very best of surfboards. While everyone is enjoying their holidays soaking up the sun and surf of South Africa, Vudu Surf is still hard at work shaping boards to fit every need and requirement. Take a look at our guys right now in the bay shaping up a brand new sparkling surfboard! !